2-1/4'' Wooden Birch Block CubeSold in lots of 5. As low as $6.25 per lot. Our cubes are e..
1'' Wooden Birch Block CubeSold in lots of 25. As low as $2.30 per lot. 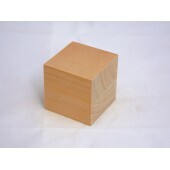 Our cubes are exce..
1-1/2'' Wooden Birch Block CubeSold in lots of 10. As low as $3.10 per lot. Our cubes are ..
1-1/4'' Wooden Birch Block CubeSold in lots of 25. As low as $4.125 per lot. Our cubes are..
1-3/4'' Wooden Birch Block CubeSold in lots of 10. As low as $4.60 per lot. Our cubes are ..
1/2'' Wooden Birch Block CubeSold in lots of 50. As low as $1.90 per lot. 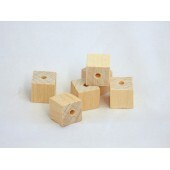 Our cubes are ex..
1/2'' Wooden Birch Block Cube1/8'' Drilled HoleSold in lots of 50. As low as $3.50 per lot.&nbs..
2'' Wooden Birch Block CubeSold in lots of 5. As low as $3.95 per lot. 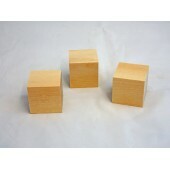 Our cubes are excel..
2-1/2'' Wooden Birch Block CubeSold in lots of 1. As low as $1.55 per lot. Our cubes are e..
3" Laminated Birch BlockSold in lots of 1. As low as $2.35 per lot. Our cubes are excellen..
3/4'' Wooden Birch Block CubeSold in lots of 50. As low as $2.80 per lot. Our cubes are ex..
5/8'' Wooden Birch Block CubeSold in lots of 50. As low as $2.25 per lot. Our cubes are ex..
5/8'' Wooden Birch Block Cube1/8'' Drilled HoleSold in lots of 50. As low as $5.00 per lot.&nbs..
7/8'' Wooden Birch Block CubeSold in lots of 25. As low as $2.00 per lot. Our cubes are ex..